With almost 50% of this Metro’s youth without work, it is no wonder that labour centres are often inundated with our people, forced to apply for UIF as a means to an end. Today I witnessed the despondent and hopeless reality of so many millions of South Africans as I walked side-by-side with unemployed people at the Labour Centre in Central, Port Elizabeth. Unemployment is tearing families apart and destroying dreams, and the NMB government seems oblivious to the growing problem, as Jacob Zuma’s ANC government does nationally. I have many times walked in the footsteps of the unemployed and experienced the plight of those who struggle to make ends meet, I listen to the truths of those who cannot find work and the stories push me to act and campaign for change. The insider-outsider economy in this Metro is being worsened by an EPWP that only benefits a politically-connected few. Many community members have pleaded with me to assist in rolling out an EPWP that is fair and unbiased. Fairness in EPWP is exactly what the DA has delivered where we govern already, by allocating EPWP jobs through a lottery system that gives no favours or preferences to cronies. We want to bring the same fairness to EPWP in Nelson Mandela Bay. 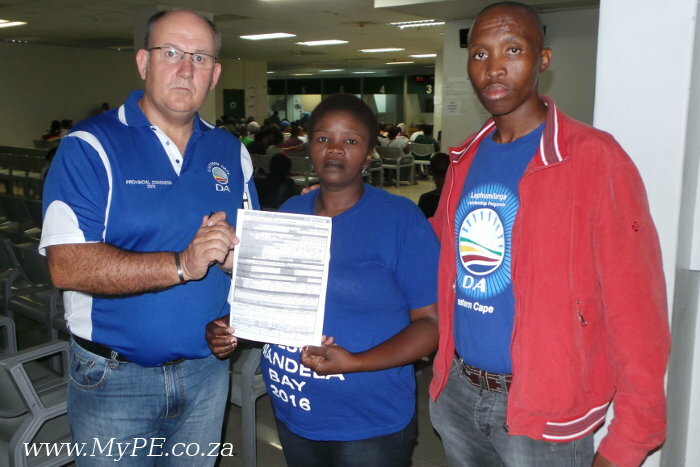 One of the DA’s primary focuses in government is to build an economy that creates jobs – the Western Cape Government, despite a rapidly growing provincial population, has managed to push unemployment down to just 24.5%, the lowest of any province, under the DA. Here in Nelson Mandela Bay, with the DA in local government, skills development and facilitating access to opportunities for people seeking employment will be an important feature of this new government. And it can come with the tried and tested history of delivering the best opportunity-creation record in government to date. This DA government in NMB will create an opportunity-rich space by connecting people and business through easy access to information. It is equally important to assess and reform regulation, where necessary, to enable and encourage innovation. Opportunity centres will be established, as one-stop-shops, to provide information on investment opportunities, licensing, land use, planning approval procedures, investor information and business start-up advice. The DA is ready to govern in Nelson Mandela Bay, to usher in an era of clean, proactive and productive governance.